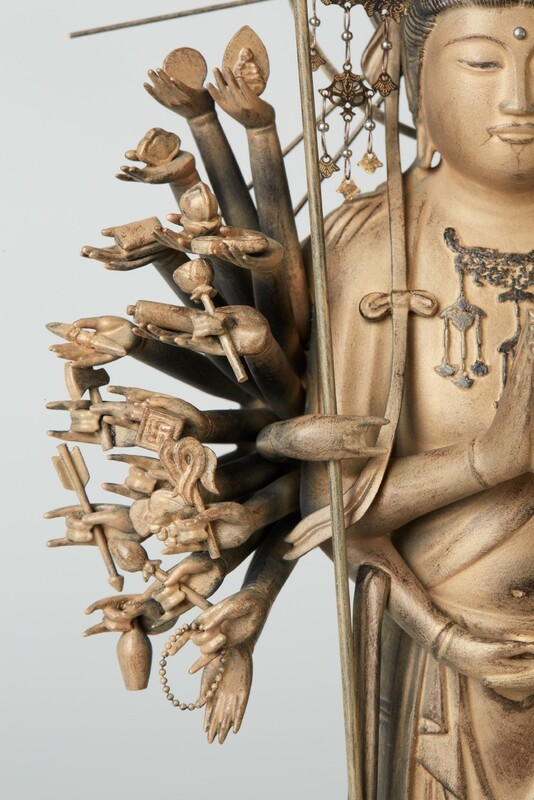 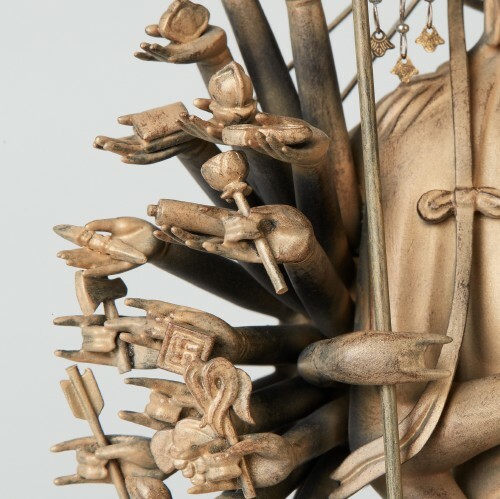 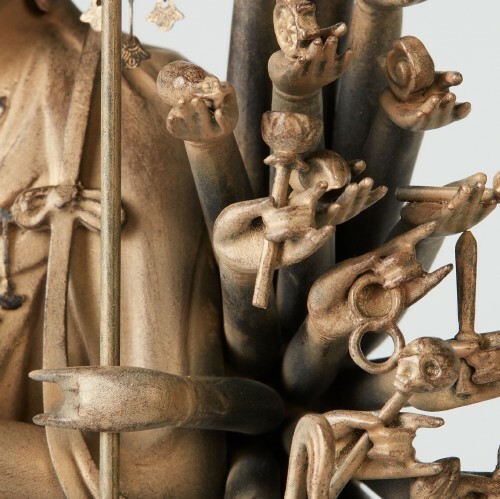 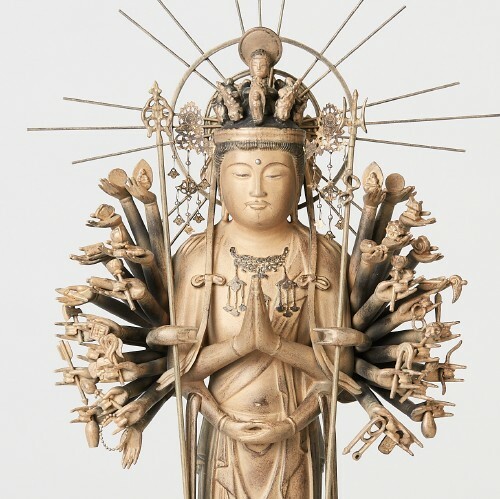 Senju Kannon finds people who are suffering with his eleven faces, and saves them with his thousand arms that represent infinite mercy. 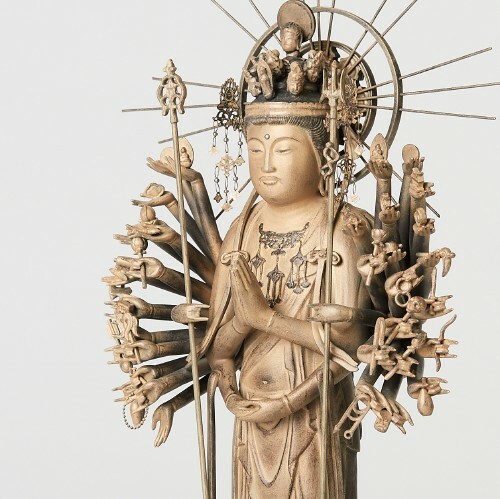 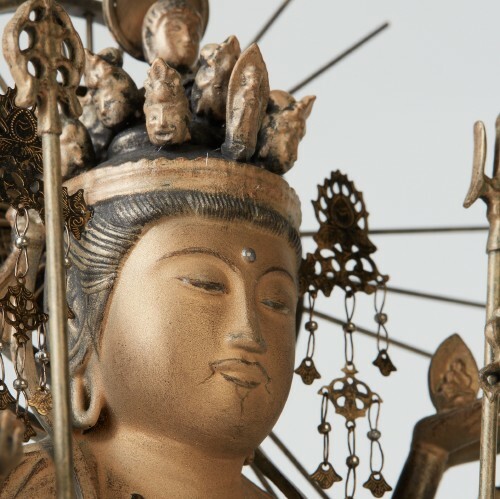 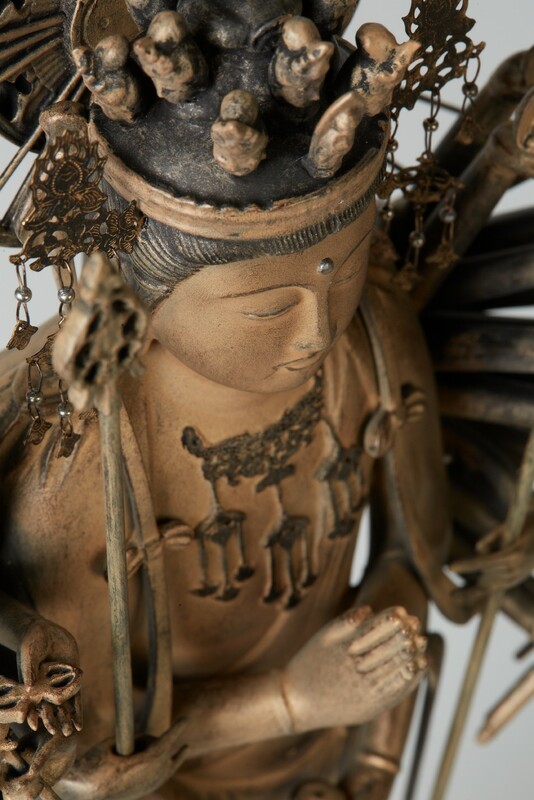 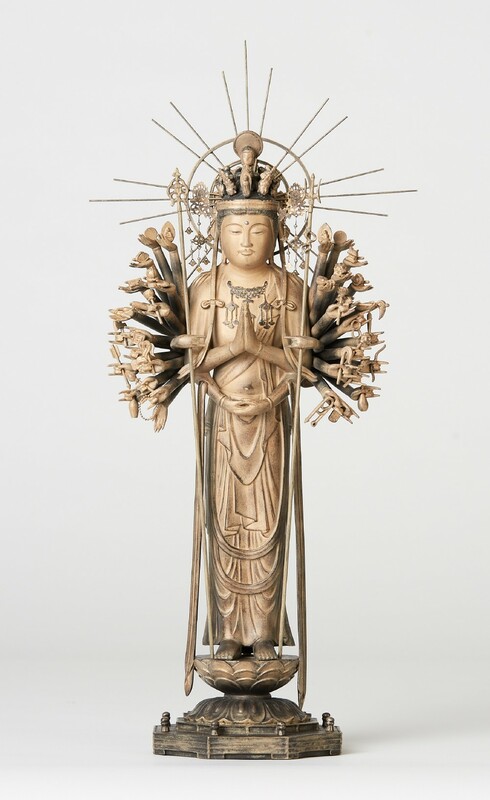 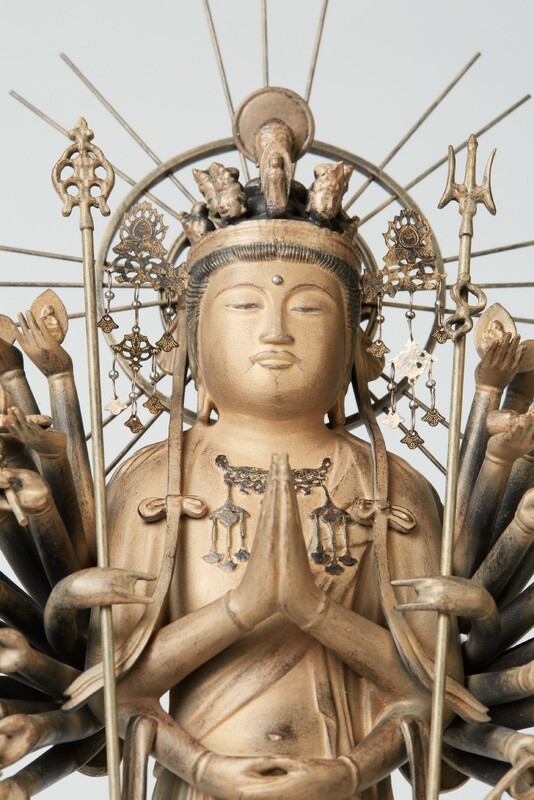 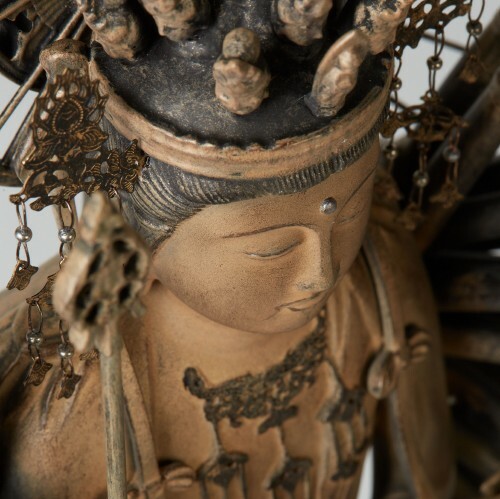 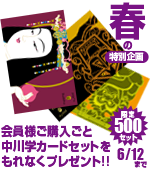 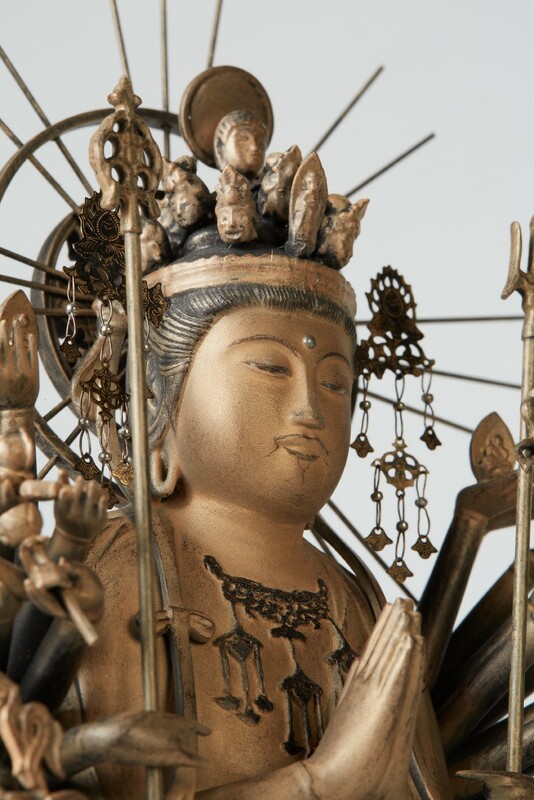 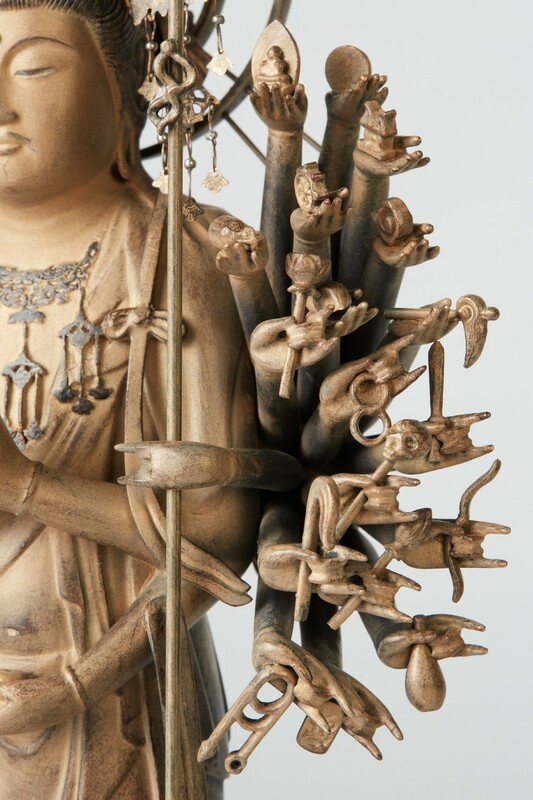 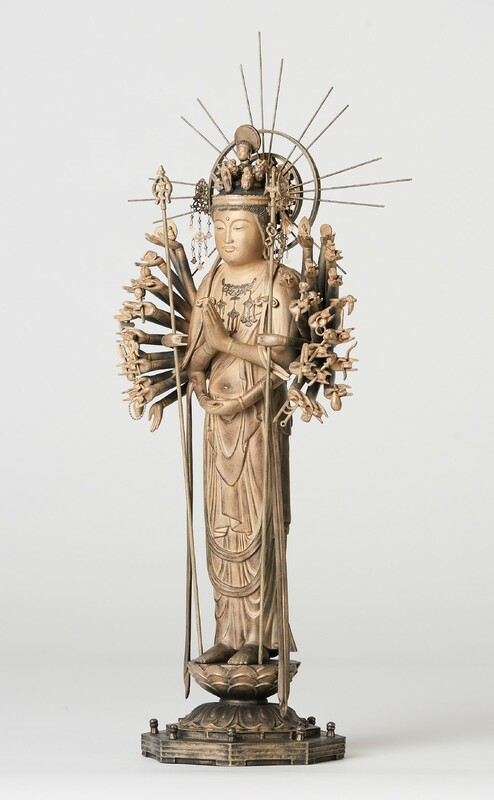 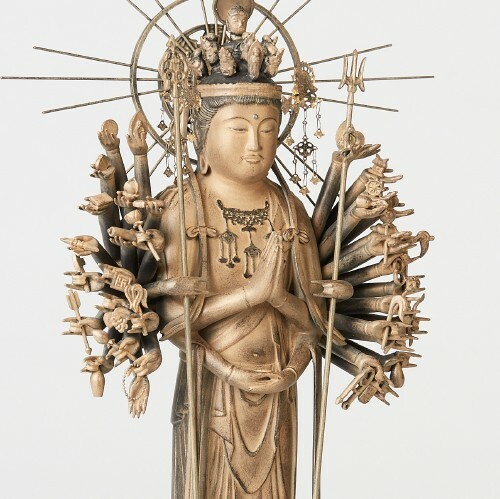 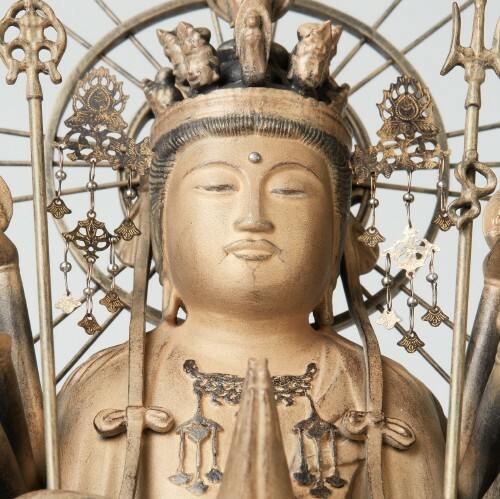 'Keiha' means one of the Busshi groups in Kamakura Era(13th to 14th century),which dominated Buddhist statuary. 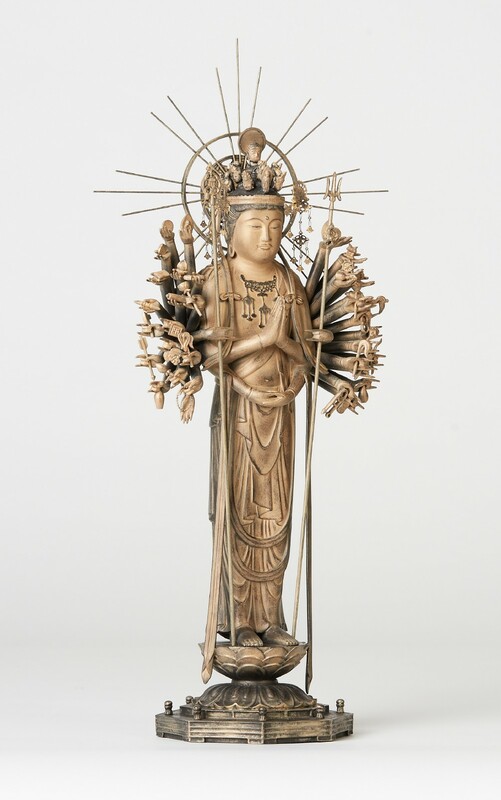 Master sculptor Unkei and Kaikei belonged to this school and their realism and dynamism are still highly regarded.